Growth form: Perennial herb. Flowering. Aug–Nov. Status: Native. Common. Also recorded: Bahrain, Kuwait, E Saudi Arabia, UAE. Habitat & distribution: Widespread on harder substrates including compacted, moderately saline, Sandy areas including sabkha edge. 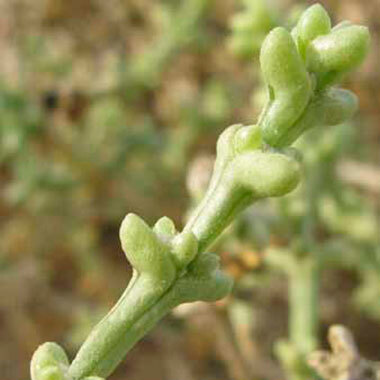 Uses: El Amin states that it is known for good salt grazing for camels and other animals.